It’s Friday! That means it’s time to load the Kroger Friday Freebie coupon. 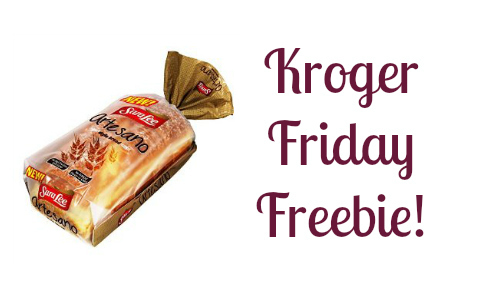 Today only, load a new E-Coupon for FREE Sara Lee Artesano Sandwich Bread (20 oz.). This is a great time to pick up a loaf of bread. This is a new product for Sara Lee and I am excited to try it. Who doesn’t love bread? To get this deal you must load the E-Coupon each Friday (a different offer each week) but you have two weeks to buy the item in the store. If you’ve not used these before, you load the coupon then scan your card at checkout and the coupon comes off automatically. This deal is valid 5/5 only.